These terms and conditions ("T&C") shall apply to the purchase of the ParkinGO token ("GOToken") and to the use of the ParkinGO International SA platform (the "ParkinGO Platform"). The buyer and future user of the GOToken and/or of the ParkinGO Platform (the "User") SHALL READ THESE T&C CAREFULLY BEFORE PARTICIPATING TO THE TOKEN SALE. THE T&C GOVERN AND AFFECT THE USER'S OBLIGATIONS AND LEGAL RIGHTS, INCLUDING, BUT NOT LIMITED TO, WITH RESPECT TO THE WAIVER OF THE USER'S RIGHTS AND THE LIMITATION OF THE PARKINGO INTERNATIONAL SA LIABILITY. IF THE USER DOES NOT AGREE TO THE T&C HE/SHE/IT SHOULD NOT PURCHASE THE GOTOKEN. 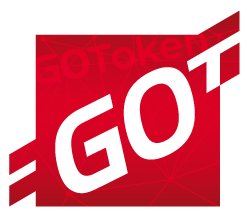 By purchasing the GOToken during the token sale period (the "Token Sale") the User will be bound by the T&C, and all terms incorporated by reference. The purchase of the GOTokens is subject to and governed by the T&C. These T&C constitute the agreement between ParkinGO International SA, a Swiss company with registration number CHE-298.581.478, ("ParkinGO" or the "Company") and the User with respect to the purchase of the GOToken and the future use of the services offered through the ParkinGO Platform. By using the services offered through the ParkinGO Platform, the User agrees to be bound by the T&C in their latest version. The User shall be aware that the ParkinGO may change the T&C at any time at its sole discretion. The continued use by User of the ParkinGO Platform or the continued holding of the GOToken by User, means that User accepts any new or modified T&C. ParkinGO is a mobility platform that aggregates and facilitates the travel experience for millions of customers, private and corporate. ParkinGO aims to expand airport parking services globally all around the world. Access to the ParkinGO Platform and use of the services available on the ParkinGO Platform will require the use of the GOToken. ParkinGO Platform will be open source and based on blockchain technology. The use of a blockchain protocol, will enable the platform to be decentralized and fully automatized, where the parties can exchange services, with a lower transaction costs, using the GOToken as a currency. The GOToken functions as a private means of payment on the ParkinGO Platform, which will allow User to make use in the future of the ParkinGO Platform services. Through the purchase of the GOToken, the User acquire the right to access the ParkinGO Platform and/or to use the services available on the ParkinGO Platform. To be eligible to participate in the Token Sale and receive the GOToken the User must have an Ethereum wallet that supports the ERC-20 token standard. The Company reserves the right to prescribe additional guidance regarding specific wallet requirements. At the day of Token Sale the GOToken does not have the legal qualification as a security pursuant to Swiss Law and is therefore not qualified as an Asset Token pursuant to the Guidelines (the "Guidelines") issued on February 16, 2018 by Swiss Financial Market Supervisory Authority ("FINMA"). The GOToken does not have a performance or a particular value outside the ParkinGO Platform. The GOToken shall therefore not be purchased or used for speculative or investment purpose. Any User purchasing the GOToken shall understand and have significant experience of cryptocurrencies, blockchain systems and services, and understand the risks associated with the purchase of the GOToken as well as the mechanisms related to the use and custody of cryptocurrencies. By purchasing the GOToken the User acknowledges having carefully reviewed the T&C as well as the "White Paper" relating to the Token Sale https://parkingo.io/whitepaper (the "White Paper") so to understand the risks, costs and benefits associated with the purchase, storage and use of the GOToken. The Company is, as of the date of the Token Sale, not a financial intermediary according to Swiss Law and is not required to obtain any authorization for Anti-Money Laundering purposes. Notwithstanding the aforesaid, the purchase of the GOToken is conditional upon the positive conclusion of an AML/KYC identification process and the User shall provide to the Company all requested documents and information necessary or useful to the Company to complete the AML/KYC process. The User accepts that it will not be entitled to purchase the GOToken in the event that the Company considers that the User does not satisfy the AML requirements set by the Company. Acquiring and storing the GOToken involves various risks, in particular (but not limited to) the risk that the ParkinGO may not be able to launch its platform and/or its operations, to develop or exploit its blockchain and/or to provide the services to which the GOToken relates or is forced (in particular due to changes in the legal environment and/or issuance of new laws or regulations and/or new leading interpretation of current legal framework and/or case law, which might also have a retroactive effect) to stop its operations or change its business model.. Therefore, and prior to acquiring the GOToken, any User should carefully consider the risks, costs, and benefits of acquiring the GOToken within the Token Sale, and, if necessary, obtain independent advice in this regard. Any interested person who is not in the position to accept nor to understand the risks associated with the activity (incl. the risks related to the non-development of ParkinGO Platform and/or operations) or any other risks as indicated herein and/or in the White Paper, should not acquire GOToken. The T&C shall not and cannot be considered as an invitation to enter into an investment. They do not constitute or relate in any way nor should they be considered or interpreted as an offering of securities in any jurisdiction. The T&C do not include or contain any information or indication that might be considered or interpreted as a recommendation or that might be used to base any investment decision. The T&C do not constitute an offer or an invitation to purchase shares, bonds, securities or rights belonging to ParkinGO or any related or associated company (the "Company’s Group"). The GOToken will be used as a private mean of payment once the services will be accessible and is not intended to be used as an investment. The sale of the GOToken is final: the GOToken is non-refundable and not redeemable. The GOTokens are not convertible in shares or certificates of the Company or Company's Group and do not grant any right to receive any such share or certificate. The GOTokens do not confer any direct or indirect right to Company's or Company's Group capital or income and, in particular, do not grant any right to dividends or interests or to any other share or participation to the Company or Company's Group revenue or earnings. The GOToken is not proof of ownership of any assets belonging to the Company or to the Company's Group or of a right of control over the Company or the Company's Group and does not grant to the owner any right to assets of Company or the Company's Group. The GOTokens are not shares or participation certificates and do not give any right to participate to, or vote in, the general meeting of the Company or the Company's Group or to influence in any way the respective corporate governance or the decisions of the corporate bodies of the Company or the Company's Group. Subject to Sections 27, 28 and 29 below, based on the above, at the date of the Token Sale, the Company considers that the GOToken does not have the legal qualification of a security pursuant to Swiss Law and does therefore not qualify as an "Asset Token" in Switzerland as interpreted by FINMA in the Guidelines. Pursuant to the Guidelines and current practice, the GOToken is an utility token which can be used only on and/or gives access to the ParkinGO Platform and is not intended to be used as an investment. The offering of the GOToken on a trading platform is done to allow additional users to use and/or to access to the ParkinGO Platform and not for speculative purposes and does not change the legal qualification of the token as a utility token. By purchasing the GOToken, the User acknowledges and accepts that the Token Sale and the purchase of the GOToken is taking place within a legal environment that is still under development. Regulatory authorities are carefully scrutinizing businesses and operations associated to cryptocurrencies in the world. The User understands and accepts that regulatory measures, investigations or actions may impact the Company's business and even limit or prevent it from performing or developing its operations. By purchasing the GOToken the User confirms that he/she/it is aware that the Company's business model and the T&C may change because of new legal, regulatory and compliance requirements from any applicable laws in any jurisdictions, even with retroactive effect. In such a case, Users acquiring the GOToken acknowledge and accept that neither the Company nor any of its affiliates shall be held liable for any direct or indirect loss or damage caused by such changes. The T&C shall not be construed as an offer, personal recommendation or solicitation to conclude a transaction and should not be treated as giving investment advice. The Company is not to be considered as an advisor in any legal, tax or financial matters. Any information in the T&C and/or in the White Paper is given for general information purpose only and the Company does not provide any representation and/or warranty as to the accuracy and completeness of the information included in the T&C and/or in the White Paper. Given the lack of qualification of the crypto-token in most countries, the User is strongly advised to carry out a legal and tax analysis concerning the purchase and ownership of the GOToken according to his/her/its nationality and place of residence. By participating in the Token Sale and/or by receiving GOToken, no form of partnership, joint venture or any similar relationship between User and the Company and/or other individuals or entities involved with the deployment of the ParkinGO Platform is established/ or created. The User understands and accepts that for the purpose of the development and execution of the business of CLIENT NAME, ParkinGO receives the full amount of Ether raised in the Token Sale. The ICO Proceeds may be used to cover expenses, charges and other costs that may arise by ParkinGO and/or its subcontractors as part of the development and execution of the ParkinGO Platform. It remains at ParkinGO's sole discretion to decide how to allocate the funds. The Company will do its utmost to launch its operations and develop the ParkinGO Platform and/or provide the services described in the T&C and/or in the White Paper. By purchasing the GOToken the User confirms to be aware that the Company does not provide any guarantee whatsoever about the actual launching, the actual performance of the operations and/or the development of the ParkinGO Platform and the provisions of ParkinGO's services on the ParkinGO Platform. The GOToken will be issued by a technical process that uses the «Blockchain» technology. This is an open source IT protocol over which the Company has no rights or liability in terms of its development and operation. The GOToken distribution mechanism will be controlled by a Smart Contract; this involves a computer program that can be executed on the Ethereum network or on another blockchain network that is compatible with the Smart Contract programming language. By purchasing the GOToken, the User acknowledges and understands therefore that ParkinGO (incl. its bodies and employees) assumes no liability or responsibility for any loss or damage that would result from or relate to the incapacity to use the GOToken, the ParkinGO Platform and/or the services available on ParkinGO Platform, excepted in case of intentional misconduct or gross negligence. The GOToken is based on the Ethereum protocol. Any malfunction, unplanned function or unexpected operation of the Ethereum protocol may cause the GOToken network to malfunction or operate in a way that is not expected. Moreover, the native Ethereum Protocol account unit may itself lose value in a similar way to tokens, and also in other ways. The Company assumes no liability or responsibility in this respect except in case of intentional misconduct or gross negligence directly attributable to the Company. The Company assumes no liability or responsibility whatsoever for any loss of the GOToken or situations making it impossible to access the GOToken, which may result from any actions or omissions of the User, as well as in case of hacker attacks. is not purchasing the GOToken for the purpose of speculative investment or usage. To the extent that copyright trademark or any other intellectual property rights, such as software, know-how, analysis or programs, existing and future copyrights and other intellectual and industrial rights (hereinafter "IP Rights"), exist in the GOToken, in the ParkinGO Platform and/or in the services available on the ParkinGO Platform, they belong solely to the Company and/or its affiliated companies and User as buyer and user of the GOToken and as user of the ParkinGO Platform and/or in the services available on the ParkinGO Platform does not and will not have any related rights in such IP Rights. If any of the provisions of the T&C is deemed to be invalid, void or unenforceable, the remaining provisions shall continue in full force and effect. These T&C, the purchase of the GOToken and the use of the ParkinGO Platform shall be governed by and construed in accordance with the substantive laws of Switzerland without regard to the conflicts of law rules and without regard to the rules of the Vienna Convention on the International Sale of Goods dated 11 April 1980. Any dispute, controversy or claim arising out of or in connection with the T&C, the White Paper, the purchase of the GOToken and/or the use of ParkinGO Platform, shall be finally settled in accordance with the Swiss Rules of International Arbitration of the Swiss Chambers' Arbitration Institution in force on the date on which the Notice of Arbitration is submitted in accordance with these Rules. The number of arbitrators shall be 3 (three), the arbitrators to be appointed in accordance with the said Rules. The seat of the arbitration shall be Lugano, Switzerland. The language of the arbitration shall be Italian. © ParkinGO International SA. All Rights reserved.